Visited yesterday evening, musician Roland Chadwick playing live in the front bar area. Busy enough for a good atmosphere but not shoulder to shoulder. Doombar reasonably priced. Pleasant friday evening in a traditional pub. A swift half when passing through. The pub has hit the buffers big time, which is surprising as I thought this would be the last place to struggle in the downturn. It was closed for a while after, it was rumoured, the new owners "ran it into the ground". 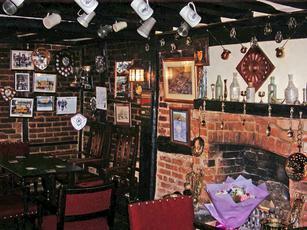 However it is back open and being looked after by Dave, the ex owner/manager to transition the pub to new owners. 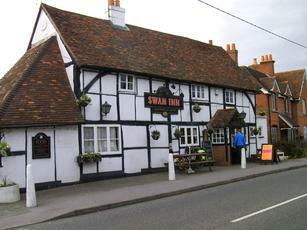 A really historic pub, and deserves the local's custom. The beer when I popped in was excellent, and from a chat I had with some diners, t he limited menu was fine quality and taste wise. Had a lovely meal with family. 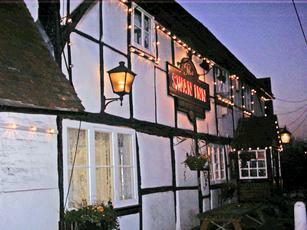 Very nice staff, cosy traditional pub, food tasty and plenty of it. If you're looking for something terribly posh and twee, this isn't it. If you're looking for a really nice old fashioned pub with lovely people, head here fast. 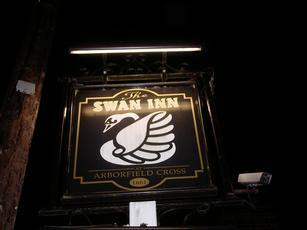 Recently popped in for a swift one after moving out of the area. The change of landlord does not seem to have altered the place much, but it does seem to be trying more, with various events, takeaways etc. The London Pride is excellent, a bit cliquey, but it is a village boozer.